Federal authorities have taken down a notorious Bomb Squad street gang who conspired to murder, extort, and commit acts of violence in the city of Peoria over the last five years. Authorities allege the gang operated to further their criminal ambition in a 63-page federal indictment which charges the gang members with racketeering conspiracy and violating the Racketeer-Influenced and Corrupt Organization (RICO) Act. If the 15 Bomb Squad gang members are convicted, each could face up to life in prison. 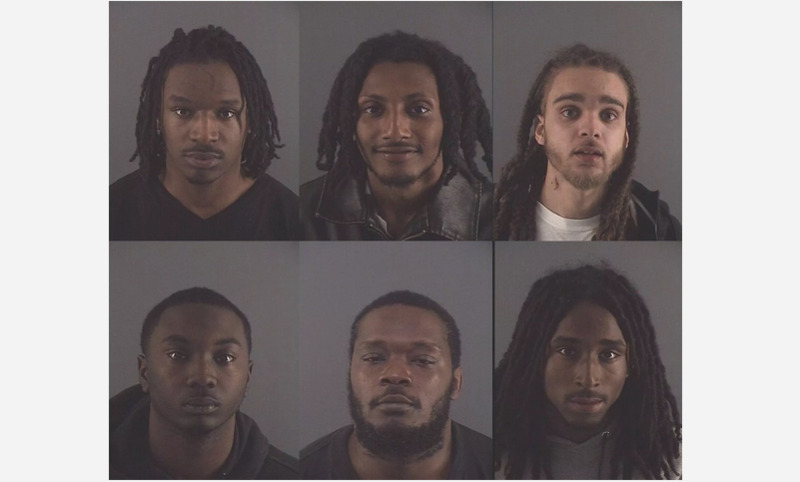 The gang members were also charged with illegal weapons counts and drug distribution. There are also charges under the Violent Crimes in Aid of Racketeering (VICAR) clause of the U.S. code. The additional counts under the VICAR clause allege the gang members used a dangerous weapon and conspired to assassinate someone. Another of the allegations claims the Bomb Squad gang was linked to a shooting at an off-campus Bradley University party on April 8, 2018. The claim says that Kentrevion Watkins supplied a handgun to Jermontay Brock, 16, of 2209 W. Millman St. who then used it to fatally shoot Anthony Polnitz at the West Bradley Avenue party. Another Bradley University student was also killed at the same party, 18-year-old Nasjay Murry. The federal indictments were announced at the U.S. Attorney’s Office in Downtown Peoria in a joint press conference by federal officials, state, and local law enforcement at 1:30 p.m. Tuesday. Five of the 15 gang members indicted were already in custody and early morning raids in South Peoria apprehended the remaining fugitives except for Watkins. Around 7 p.m. Tuesday, Peoria police confirmed that Watkins was apprehended and in custody.